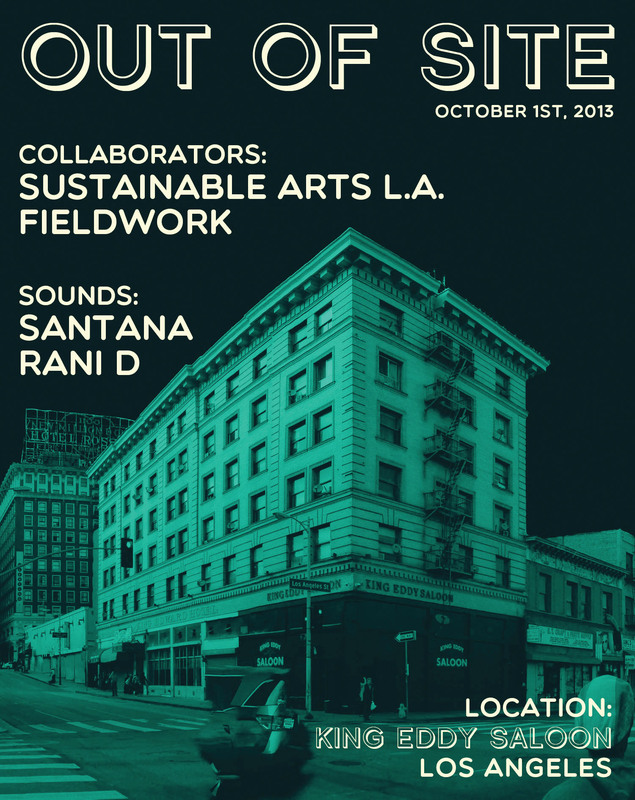 FIELDWORK: we collaborate with people we believe in to create site-specific experiences for the local, common good. OUT OF SITE: a space to highlight groups/orgs/businesses in a creative blend of productivity and leisure. For our first edition of OUT OF SITE we will feature SUSTAINABLE ARTS L.A., an independent arts education program providing intentional and ultra-imaginative curriculum for the young and old. 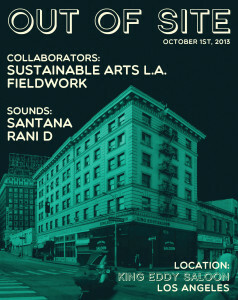 Sustainable Arts L.A. (S.A.L.A. ), spearheaded by Jennifer Gutierrez Morgan, is an independent arts education program that provides creative opportunities for Angelenos of all ages and communities to engage minds, support expression, and expand imagination. S.A.L.A. blends intentional and ultra-imaginative curriculum with a keen selection of traditional and non-traditional material use and implementation. Through sustainable practices, S.A.L.A. focuses on responsible art-making for the betterment of the local and global community.